the word ‘intense’. This intensity of hers can at times lead to misunderstandings. The intensity is mainly the result of feelings and thought becoming inseparable. There could be an inner battle between the head and the heart. However, this great focus of energy in the moment, can lead to great success, if channeled positively. You can check out her right hand photos here and here. Her hand shape is that of an ‘Intuitive’ type, and shows her to be an enthusiastic person, responsive to her environment, and action-oriented. The hand shape and the developed moon mount tell us about the restlessness in her personality, and her need to stay inspired. Idealism is a strong characteristic of her personality, and this has likely been enhanced over what she inherited. She is likely to have feelings of righteousness. It is difficult to say in which aspect of her life and personality this idealism is or will be channeled, without studying her hand in detail. What it does mean is that money is not a driving force with her. She wants to prove her mettle, that is more important. Excellence is also important to her, whatever her line of work. For her, work is more than just a job. Doing interesting, meaningful and stimulating work is important to her happiness. She will function best in an environment where she has the freedom to express herself. However good she is with words, articulating her innermost thoughts/feelings can be hard. A curious thing are the rings on her right thumb and right index fingers, not seen in earlier photographs, except for the one on the right ring finger (link here). This observation is based on the photos which I noticed on the internet, and thus I could be wrong. These rings can indicate feelings of insecurity, according to hand reader, Johnny Fincham. Does this mean that these feelings of insecurity have developed after becoming engaged to Prince Harry? The ring on her right ring finger is visible in older photographs, and specifically it means concerns with one’s image, something quite normal for actors/performers. The ring on her thumb shows a desire to reinforce her will-power, and the ring on her index finger shows an insecurity about the self (according to Fincham). If these rings are a recent addition, it means that these feelings could well be temporary. She has been thrown into the limelight all of a sudden, and could be overwhelmed by the experience. 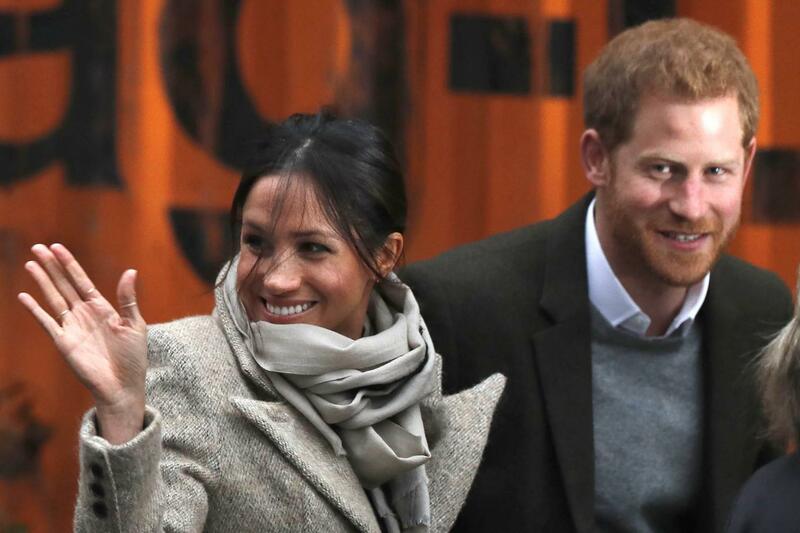 Find out what the hands of British Royals reveal: Kate Middleton, Prince William or The hand analysis of the Princess of Wales, Lady Diana or The hand analysis of Prince Charles or check out the hand profiles of famous people from the United Kingdom. Hello! I'm interested in getting your opinion on a pair of hands which to my very amateur eye seem remarkably unique! Sorry to post this as a comment, didn't see how else I could catch your attention. I tried your given email but no reply. I remember receiving such an email recently in which I was asked to read for free. I do help people if it is a simple question they ask, and they have a genuine problem. However, if I am asked to study a hand for free, I do not reply. If you want a paid reading for you or your friend, you are welcome to write to me again and I will send you the rate card. Thank you for your wonderful service here. You have changed my impression of hand reading from an inaccurate pseudo-scam to something legitimate; before you, I had come across so many charlatans and assumed it was all just bogus. Could you please do a hand reading of Swami Prabhupada, founder of the Society for Krishna Consciousness (ISKCON)? Thank you Ajoy. 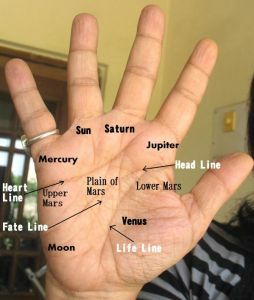 It is good to have someone here who understands that a lot of people with very little knowledge of palmistry are running scams and in the process harming people. Regarding Swami Prabhupada I will search for photos of his hands on the net. Just getting one or two is not sufficient, unless they are very clear. She has a simian line which could explain the intensity/intuition. People with this line can either do something that is very good and right for them, or something completely wreckless. It's kind of like a hit or miss trait. And yes, they fall in love quite easily because they just have a drive that propells them. No head or heart, just go go go for these folks hahaha! Yes the simian line can show intensity and it means head and heart working together, not an absence of head and heart qualities. Meghan Markle is the same as everybody else. Her marriage to Prince Harry does NOT give her the status of a princess because she is NOT one. Everyone has individual qualities. Meghan is NOT superior than the rest of humanity. Neither does she have even a dot of royalty in her blood. Meghan is no different from Kayne West, Jada Pinkett, Beyonce etc. etc. But she can become special if she reaches out to the homeless, the sick, the destitute etc. etc. Jesus taught that serving man is serving God. Perhaps Meghan could be the first in Britain to get the homeless off the streets for a start. Personally I think the royals are same as everyone else. They are nothing. I admire Meghan a hundred times more because she is a self made woman. She became a successful television actor. It is not an easy feat. If she goes a step further and uses her royal status to work for the homeless, it will be an added feather in her cap.